Member payment issues can cause an excess of unnecessary support calls, erode revenue through process abandonment by frustrated learners, and potentially alienate members considering using your platform. In this post, we’ll look at three of the most common reasons for member payment issues, and provide you with tips on how to solve them. While it might seem like a basic issue that doesn’t deserve mention, one of the most common reasons that payment processing issues occur is the use of expired credit cards. Even though your members may have duly changed the expiration date information for their credit card, they may have reentered the old card number for the new card, leaving the expired card as primary payment. They will most likely receive payment confirmation via email, only to find out a few days later that their payment attempt has failed. They may delete both payment methods and try to start over, impacting previous orders still being processed. This will likely cause a tech support call, as most users will assume that it is the platform—and not a user entry error—that caused the problem. Either scenario will cause frustration, and perhaps discourage your members from trying to pay online altogether. This will prompt a call to your support line in an attempt to pay over the phone, adding to your call volume. One method is to offer a help tab on your order processing page which directs users to a FAQ section, allowing them to troubleshoot the problem on their own. A more efficient way to solve this is to use a software-as-a-service (SaaS) platform such as EthosCE which will facilitate payment processing (and tech support) for you! The user-interface (UI) structure is perhaps the most important element of your website and LMS—it’s the design of the front end to your website that either encourages exploration or causes users to leave annoyed within minutes. Payment processing falls under UI design. The journey your user takes, from the page they select an activity or product to the payment processing page, is critical and should be virtually effortless. For instance, payment forms should auto-populate with selected items or be very simple to fill out. Users shouldn’t have to click their browser’s back button to search for an item that they forgot to add to their cart. Most importantly, the page should be free of visual clutter—with the list of payment options clearly displayed and a cart that is easy to edit. If you aren’t using a SaaS platform, then you’ll need to be careful to follow e-commerce design best practices when building your payment page. Fonts should be easy to read, and the page’s background hue shouldn’t distract from the text. Stay away from unnecessary images and logos, and make certain that payment steps are described succinctly in your copy—even if it seems like they would be obvious. Although this certainly falls under the category of advanced web design principles, the concept is easy to understand. Your website or LMS platform should be designed to accommodate differences in the way various browsers display the programming code at the foundation of your website. Otherwise, your pages may be difficult to read or even unusable for certain members. This issue is not uncommon, and it cannot be fixed by a web design novice. That’s because the problem lies in the code used to create the website—not the browser displaying it. The most serious element of a cross-browser issue is that it may have a huge impact on your members’ ability to easily make a payment. It is unlikely that your members will know—or have the patience—to open your website in a different browser to make the page easier to use. A webpage that displays only part of the payment form, or that makes credit card entry difficult, may result in your members entering their information incorrectly or giving up on their purchase altogether. If you are experiencing persistent cross-browser issues, then you’ll need a website redesign. Programming code standards change just as frequently as web browsers update. That means that your website may work well initially, and then become virtually unusable when certain features are no longer supported by updated browser versions. 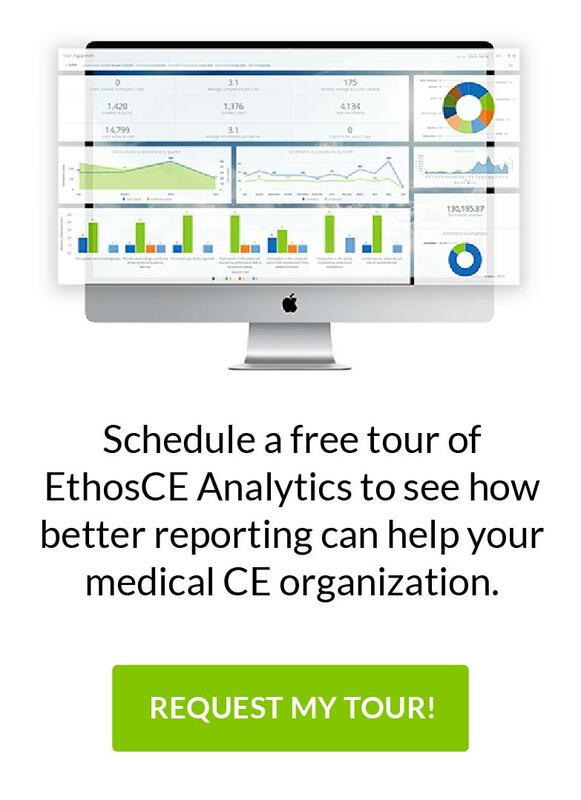 EthosCE provides comprehensive web design services for medical associations, creating websites that display correctly across every major browser, on every device. Make certain that common mistakes can be rectified with a few clicks. Orders should double verify that a user wants to complete a purchase before making the transition from cart to payment processing. Every visual component—from buttons to the menu at the top of the page—should make paying and editing a cart easier. If it doesn’t enhance usability, get rid of it. EthosCE provides a simple solution for payment processing issues. From website design to order processing management, we offer a full suite of medical association services. Here at EthosCE, we have worked with organizations of every size make member services effortless to manage. Connect with us today and request a time to speak 1-on-1 with our CME technology experts to find out how we can make your website ease—rather than add to—your workload!